As we informed you earlier that the Examination pattern has been changed this time and they conducted the advanced supplementary examinations are dome in the middle of the semester. 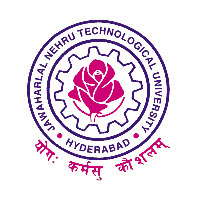 The JNTUH B. Tech/B. Pharmacy 2-1 supplementary has been conducted in February 2016 by the JNTUH. Don’t Forget To Subscribe Us For The Latest Updates. To Complete the Registration You have to Save 7207842231 this number on your phone contact list as "JNTUPORTAL.IN"